As some of you may know, the Chrome Web Store is now up and running. 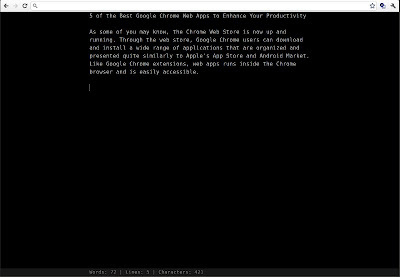 Through the web store, Google Chrome users can download and install a wide range of applications that are organized and presented quite similarly to Apple's App Store and Android Market. 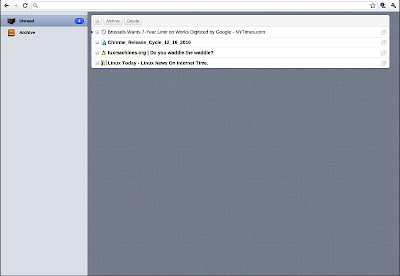 Like Google Chrome extensions, web apps runs inside the Chrome browser and is easily accessible. I rarely use the built-in bookmarking feature on my browser since I don't want messy bookmark folders. So I always end up forgetting several sites or pages with articles that I'm supposed to read later. Then I found the 'Read Later Fast' app that solved the problem. Read Later Fast is like a bookmarking tool on steroids. Simply right-click on a page, click on the 'Read later' menu, and view it later on by opening RLF. It can neatly present your saved content in 'Original' and in 'Text View' and it allows you to create archived version of a page so that you could view it offline. Write Space is an open-source distraction-free text editor that works best in full-screen mode. It runs even when offline and can automatically save documents locally. 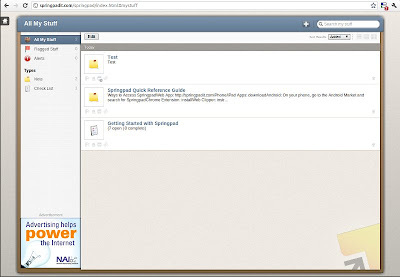 Write Space offers real-time document statistics such as word and character counter that can bee seen at the bottom. It is also highly customizable allowing you to change the font, background, and editor window width among others. It is possible to import plain text files into Write Space but be sure to back up your existing documents. Springpad is an online app that allows you to take notes quickly and easily and can help you organize tasks and lists like an advanced personal assistant. You can save products, places, movies, and other stuff on it, and then it will automatically get additional, related and useful information. For basic image editing like resizing and cropping, you can rely on Picnik. It is so easy-to-use and works amazingly fast that you could quickly use it when doing simple photo editing tasks instead of firing up Photoshop or GIMP, which takes a bit of time to start up and uses plenty of system resources. Picnik also provides a good number of fun selection of fonts, shapes and stickers, and it allows you to connect to some of the most popular photo sharing sites like Facebook, Picasa Web, and Flickr. 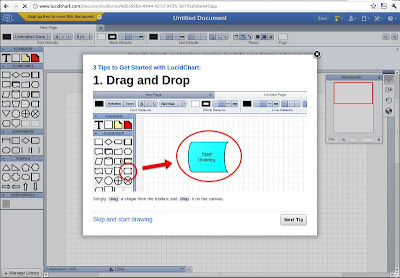 For a quick and easy way to draw diagrams, you can use the LucidChart app. It is an HTML5-based visual collaboration tool that enables you to work with other users and create and edit diagrams in real time, with changes merged and synced simultaneously. 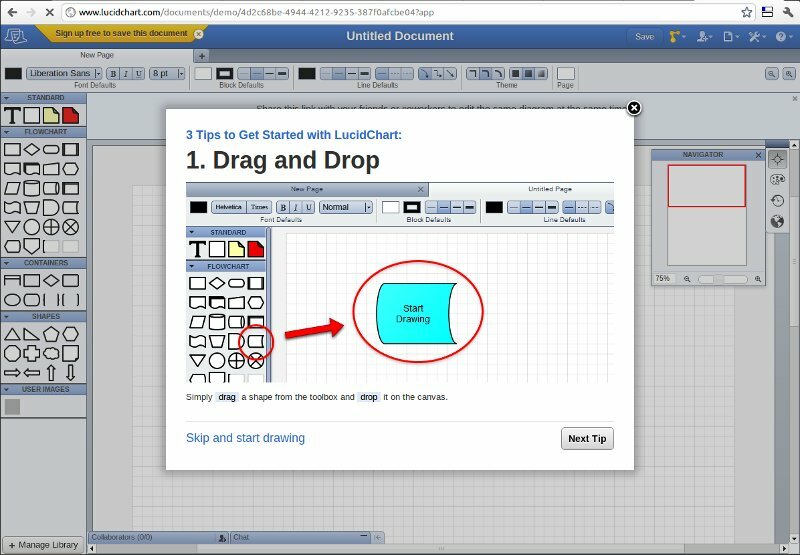 LucidChart provides templates and examples such as flowcharts, ERD, network diagrams, and UML. 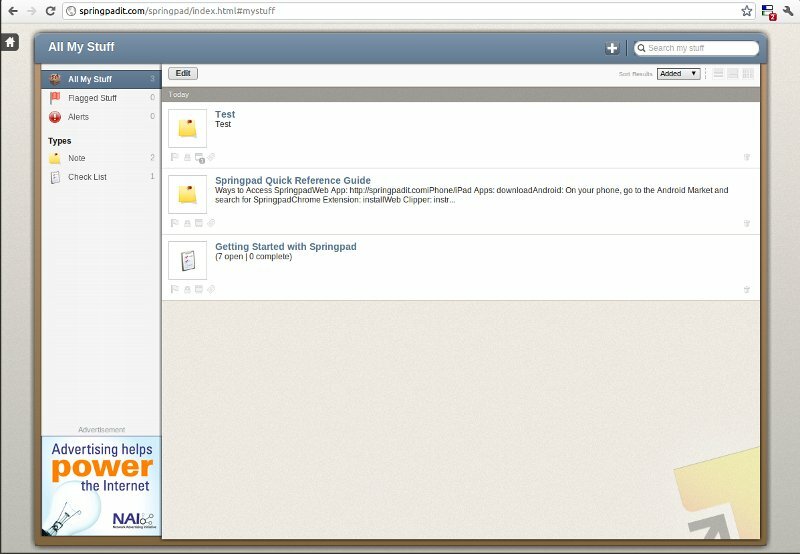 It also has several powerful and handy tools and a good number of collaboration features. 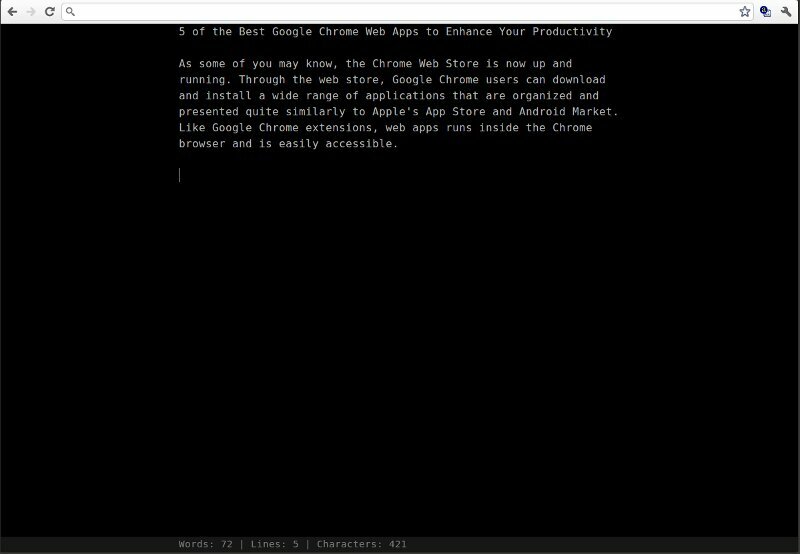 If you have some favorite Chrome productivity apps that I fail to include on the list above, you may share them with us via comment. Don't firefox have these? 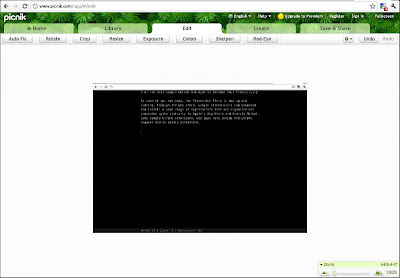 I'm am a heavy firefox user and I hope FX has this. 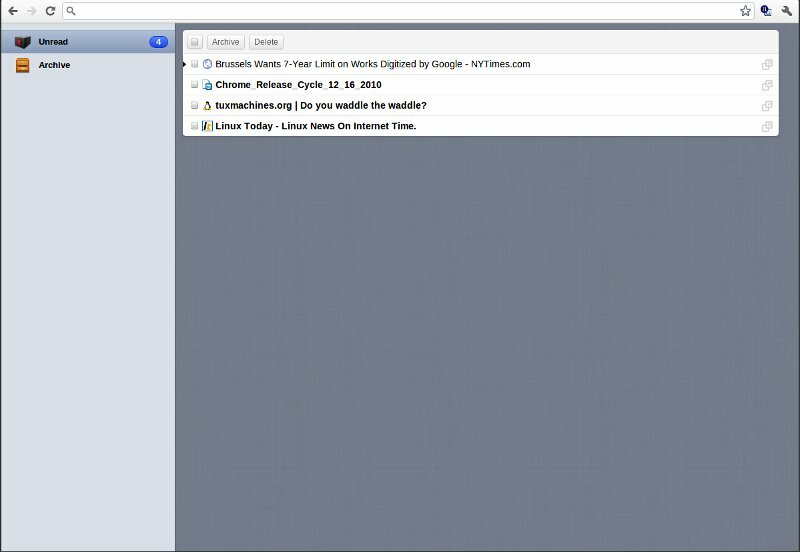 Thanks for the share -- very tempting, since I'm also using Chrome -- say at 30% and FX at 60% the other at 10%. Juan if you want to do a systematic analysis on Chrome Web Store Apps, give a shout. We have data that could help support future articles. It helps finding discounts on Amazon. to show the bestselling products on Amazon.